Charlee was six months old and pregnant when she was disposed of in a garbage dumpster beside a California restaurant in 1989. She gave birth to a litter of kittens Inside the dumpster, one of whom survived. Thankfully, a caring teenaged restaurant worker plucked the cats out of the dumpster and brought them to safety. The pair was then adopted by Laurelee Blanchard, founder of Leilani Farm Sanctuary. 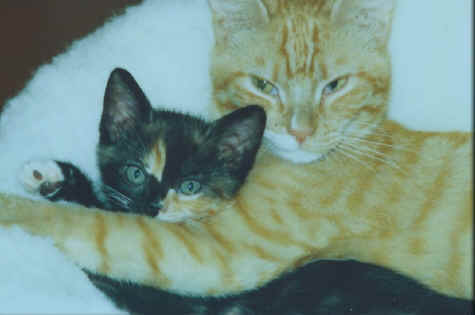 When Laurelee moved to Maui in 1999, Charlee and Alice were among eleven rescued cats who came with her to the island. The mother and daughter cats spent their entire lives together until this month when Alice died at age twenty three, followed by her mother who died exactly two weeks later.